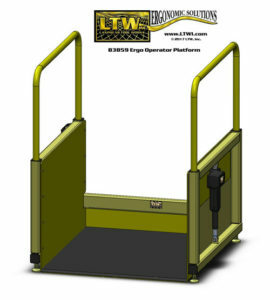 LTW’s Chariot Personal Portable Lift gives each operator independent height adjustability while on the job. 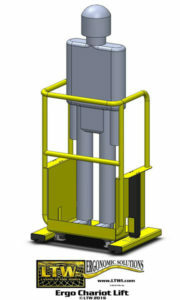 Instead of using a large operator platform that can hold multiple people, this personal portable lift is made with the individual operator in mind. Ideal for small to large work, the Chariot Personal Portable Lift gives your work the freedom of independent height adjustability. 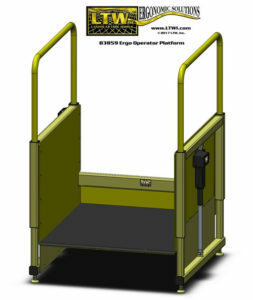 Are you crushed for space but need height adjustability? This space efficient method of ergonomics will increase your work potential without costing too much precious space. “Get your ergonomic on” without sacrificing space! Are multiple people working at different heights while in the same space? The Chariot Personal Portable Lift can do what our Operator Platforms can’t: provide independent ergonomic adjustability to multiple people who work in close proximity to each other. 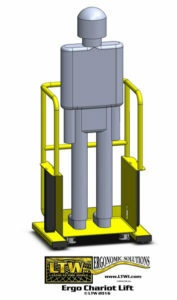 Each person can adjust their lift to their working height without needing to worry about the height affecting others. Save time and space!